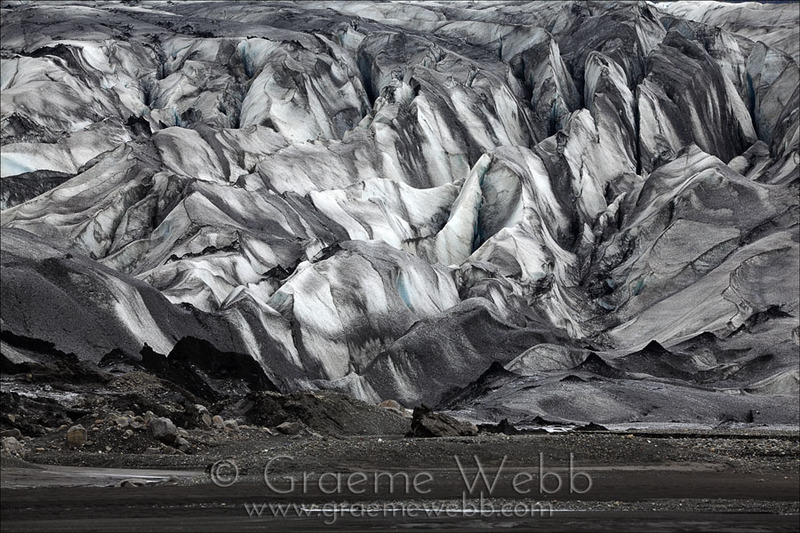 Another of the tongues of Vatnajokull (Vatna glacier), this one has cut itself off from safe access by means of a lake formed by the melting ice. The rocks and gravel have been carried down from the mountains over a vast period of time. The deep crevasses make this a dangerous place for the inexperienced person. The black color in the ice is more material from the mountains being carried down. All images, content and design © Graeme Webb. All rights reserved.